In his debut book of poetry, Herd of Tusks, poet Gilbert Richards takes the reader on a journey, culminating his life experiences. Richards employs rhythmic and metaphorical descriptions and dialogue throughout 70 plus poems. He weaves his stories through articulate verses over seven sections – Dedications, Dance to the Music, Love, etc. 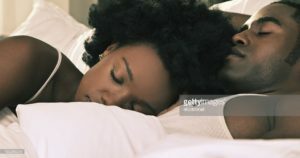 – that honor his late mother, encourage readers to work up a “cold sweat” like James Brown and partake upon his ruminations of love. A sign as old as lust. purrs; the lion in me roars. Herds of Tusks is a wonderful penning of poems separated into sections like “Dedication”, “Dance to the Music”, “Love et cetera.” At over seventy compositions you will find that with each piece you’ll experience a breadth of subjects that are philosophical, nuanced and oft times heartfelt. 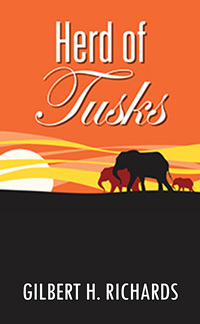 Herd of Tusks is a mesmerizing collection of poems about life's varied experiences. From childhood memories of family gatherings to critiques of dancing, the words and rhythmic cadences both sooth and excite. Herd of Tusks is a concert of drumbeats bringing visions, emotions, voices and touch to readers. Highly recommended for those searching for wonder in the everyday.